My neighbors were gathered for Sunday services before my family made it out of the house. 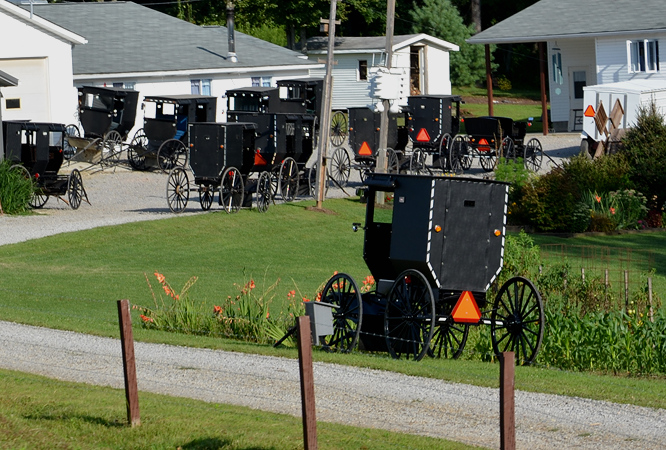 The congregation arrived at the farm across the road by horse and buggy. We took off in the opposite direction toward our little stone church in the woods. We traveled in a pickup truck, kids in the back, because the family go-getter is out for repairs. We were home to Sunday dinner before noon. The neighbors were still at it … and at 8 p.m. as the sun slowly slipped below the treeline, their worship continued. Voices carried on the breeze, rising in song over the incessant chatter of insects. Can you hear them? It’s the loveliest sound in our world, and it fills me with peace and goodwill.